Lately I’ve been pretty optimistic about self-driving cars…the technology seems to be maturing so quickly, I’ve been expecting them to become commonplace in a matter of years, not decades. 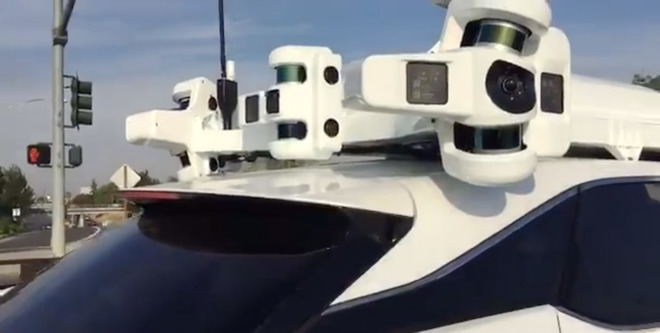 A recent photo from Apple has me questioning that – and it’s not a problem unique to Apple, all self-driving automotive technology currently has this limitation. Take a look at that picture, what do you see? An incredibly complex array of optical-based sensors. Some are lasers, some are cameras. All self-driving cars use something similar, at least based on what’s publicly known right now (GPS is also used, but it just provides approximate location, with no insight into obstacles on the road). So. Optical sensors. What happens when the lenses get dirty? I used to live in CA so sure, out there they can stay clean for months. Or, as Apple recently announced, the technology can be improved to deal with some raindrops on the lens. But drivers in most of the country have an honest four seasons to deal with, and of course the worst is areas with snow. Not just for the snow that can accumulate on the lenses, but when that snow melts, the dirty airborne mist kicked up by other cars coats your own in a deep layer of muck. The automotive industry has developed washers for headlights to partially address this problem, but those are imperfect…but maybe good enough for this application? Ideally, I think a true wiper-based solution is needed for each lens. How will this be solved? I really don’t know…maybe improving the technology used to clean some car headlights. Until then, I do expect self-driving cars to become commonplace, but only in mild-climate urban areas. The Prius has been the shining example of hybrid technology for many years, but let’s face it, its design is aging and the technology isn’t keeping up. Ford has really led a charge lately with fuel efficient hybrids, such as this Fusion Energi that provides 21 miles of electric range (up to 85mph) and a combined MPGe of 100. All this in a big, traditional family car…not bad! They have a similar drivetrain in the smaller C-Max and given those choices, I’m not sure why anyone would choose a Prius anymore (except for perhaps wanting a car with a more normal-sounding name…). I think of these Fords as second-generation hybrids…they offer better styling and usability, as well as electric-only mode. What’s really cool are the third generation hybrids being worked on, especially the Volkswagon XL1. The XL1 is really optimizing ALL pieces of the puzzle…slippery aerodynamics combined with a maximum efficiency diesel engine to produce an astounding 235mpg! Note that this is just a two-seat car, but imagine one of these as your commute vehicle…pretty cool! Hollow, one piece carbon fiber wheels? Cool use of technology here. 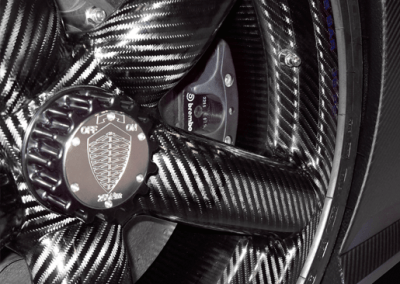 With the only bit of metal being the filler valve, these wheels are incredibly light and strong, something you really do need on a car that’s expected to be capable of 270mph, the Koenigsegg Agera R. Designing a wheel for high speeds is no small task….the 253mph Bugatti Veyron, for examples, requires its wheels to be stress tested or replaced at every fourth tire change (at a cost of >$10k each!). Of course, carbon fiber wheels are relatively new to applications such as this, so owners may yet be stuck with comparable replacement costs. Now, back to reality and perspective here. How does a 1140hp, 270mph car make any sense whatsoever? I love cars, really I do, but this is just a ridiculous machine that serves absolutely no purpose except to further enhance consumerism and deplete this planet’s natural resources. It’s a joke. A fast, impressive joke, but a joke nonetheless.